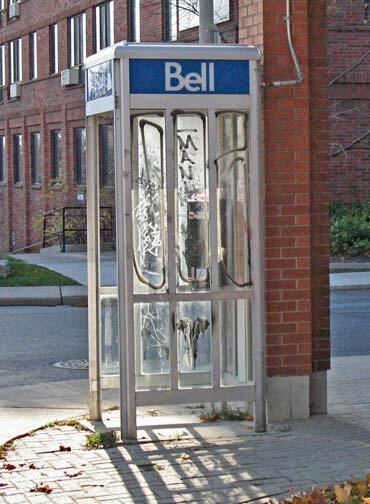 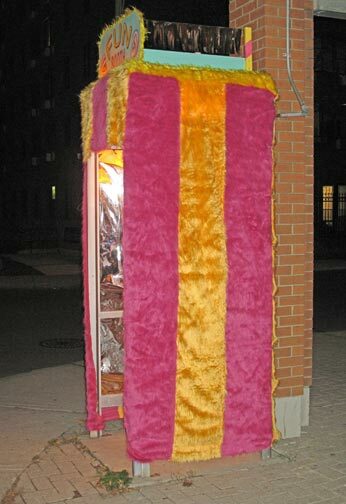 Phone booths were once novelties and quickly became an assumptive necessity. 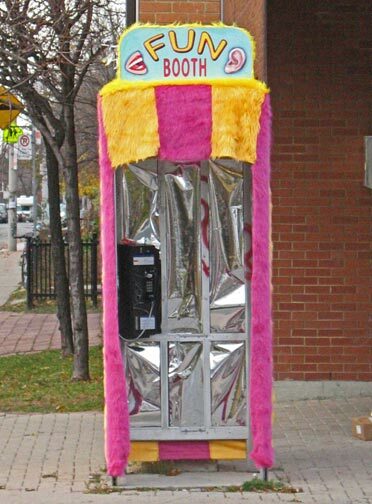 The advent of the cellular phone and its ensuing popularity relegated the booths to redundancy. 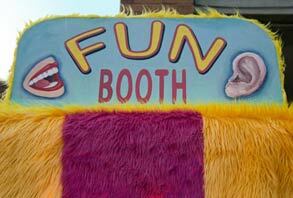 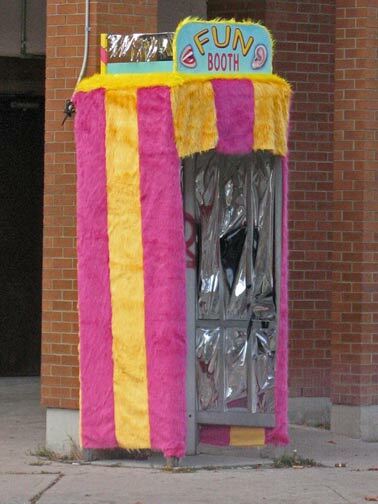 The concept behind Fun Booth was to transform a vandalized and ignored relic into something appealing. 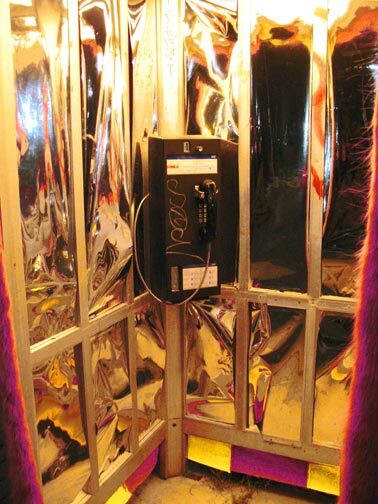 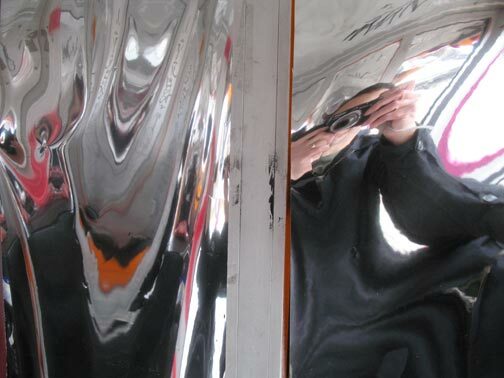 Fun fur and mirrored mylar were used to create a transient carnivalesque aesthetic. 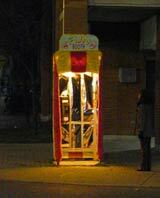 Now a miniature House of Mirrors, the booth reflects the irony of becoming a novelty prop for cell phone snapshots. 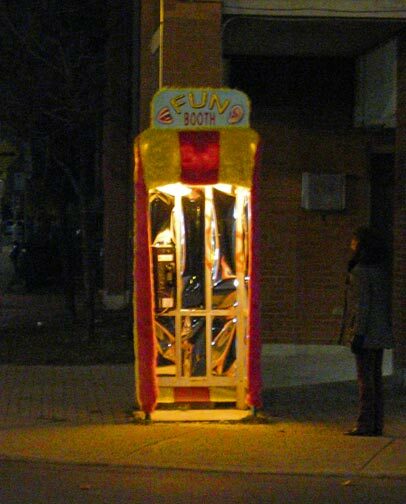 The creation of Fun Booth inadvertently coincided with, and is now part of the Tel-Talk project.